Re: How to use the On-Board Diagnostic (OBD) unit. My LED tester is home made - a LED, two wires and two probes which will also plug into small crocodile clips. Managed to borrow an led continuity and voltage tester. Ok, if i disconnect all 4 injector plugs, i get 9ish volts through each of them with the ignition on, if i then reconnect one or more of any of the plugs to any injector the voltage disappears and i get continuity instead. On cranking the 12volt led flashes on all 4 injector wires. I'm right on the edge of biting the bullet and buying 4 new injectors anyway, if it turns out to be something else i wouldn't mind having good spare parts in my garage just in case. If you are working on volts on your meter you can't get continuity. That is an ohm reading. If it is showing '0' on volts you have no voltage. It's not a digital tester, just a row of led's for voltage, then a seperate one on one side for continuity. The 9v led lights when the plugs aren't connected, then when i plug a connector in, the voltage led's go out, and the continuity led lights, and the tester emits a continuous beep. I've given up now though, it's in the garage on monday morning for them to try. Thanks for all your help Bill, i'll keep posting updates. I didn't have much luck at the garage, but a local scrapyard had a 440 turbo, so i had most of the fuel injection system. The new ecu went in first, which cured the problem up. It now runs perfect. Good to know you have it sorted. Thank you for the update. I have amended the OBD instructions. Thank you for that input. Hello! I will borrow this post to ask for help. I own a B18FT engine, fitted into a renewed R5, now in the middle of resoldering all the wires to fit a smaller car. I plan to use all the Volvo stuff, with electronic speedo. Engine came from a beaten up 460 Turbo, made in 1994, had AC and ABS. I bumped into a problem regarding OBD box. I can not find any good description of how components are fitted for box to work. I could only use sockets 3 and 7 (only ones with wires fitted) and am now very much lost, because I took loom apart in intervals and now can't figure out where to wires go. Also some online manuals are totally confusing me. So, top ones are probably ground and + from junction box, but from here on I am lost. On nr.3 the cable went into a cabin and I think goes to Jetronic, because I found a cable of the same colour. for the wire on socket 7 I've got no idea where it went before, I have a suspicion that it was directed to the speedo, but again, not certain What do you think, is the diag box conected to Jetronic? what could be the black wire on nr. 7? Because i have one spare of the same colour, is it possible that Jetronic and EZ share that same cable, so are connected through it? Are those the diagnostic test points, reffered in terminal conections list ? Are those the wires for tests with LED? Where are they soldered to on the other end? 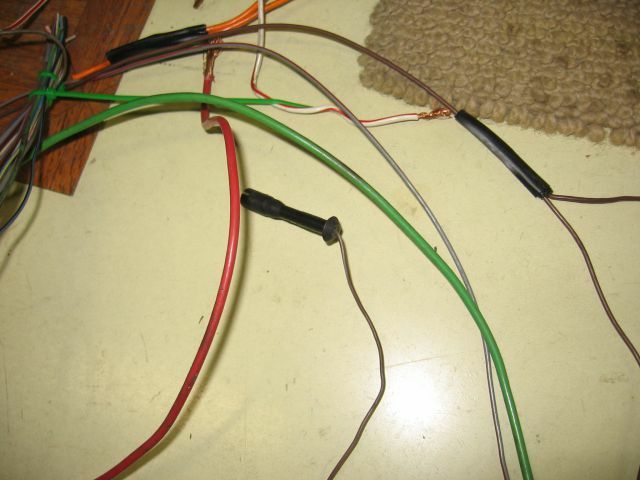 The spare loom, that i took for taking some broken connectors off, has two of such wires, one brown and one blue-brown. I think that loom is older than mine. So it could be without OBD box and that's why there are two of those? thank you very much for help!!! It is much appreciated! 1. Open the diagnostic system's box cover and place the test cable mounted on the side of the box into an appropriate socket. 2. Turn the ignition ON to key position II without starting the engine. Wait about ten seconds. 3. Press the button once and hold it for more than one but less than three seconds. 4. The LED lamp will flash in successive series of three digits followed by a three-second pause. If there are no fault codes stored, it will flash 1-1-1 indicating the system being tested is operating correctly. 5. Count the successive flashes and record the fault code. 6. Press the button again, as described above. 7. Record the fault code. If it is the same as the previous one, then no additional codes are stored. Repeat until all the codes stored are retrieved (often a maximum of three). 8. 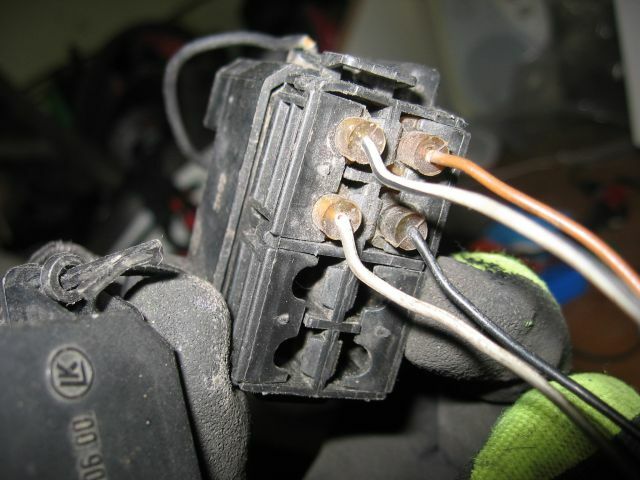 Turn the ignition OFF and remove the test cable from a socket. 1. Repeat step 1 and read all the fault codes again. Do not turn the ignition OFF after read-out. 2. Press and hold the button for more than five seconds, then release it. 3. When the LED lights, press the button again for more than five seconds and release it. When the LED goes off, the memory is cleared. 4. Test that memory is cleared by performing step 1. Code 1-1-1 should be returned. Note: erasing fault codes on the ABS socket will cause the ABS control to be lit. It will turn off after a test-drive with speed of more than 40 km/h. Before assuming a fault in any of the systems tested, try to erase fault codes as described above. In my case, open circuit in ABS wiring has initially been signalled with codes 122, 152, 312 and 322. After erasing and performing a test-drive, only code 312 was signalled. At first, read the codes when the engine is completely cold. Then, go for a longer test-drive and read them all again while the engine is still hot. Some codes (especially these related to lambda-sensor) tend to appear only while the vehicle is driven and short time afterwards. Important: cruise control diagnostics must be done immediately after the test drive. Do not turn the engine off! Codes will not be saved in memory if you do.